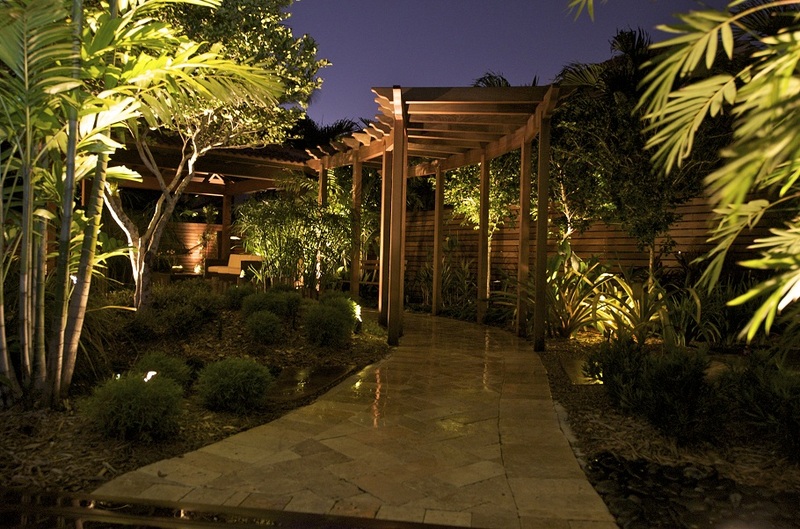 The project is located in a spec-home gated community with Spanish architecture, which is typical in South Florida. 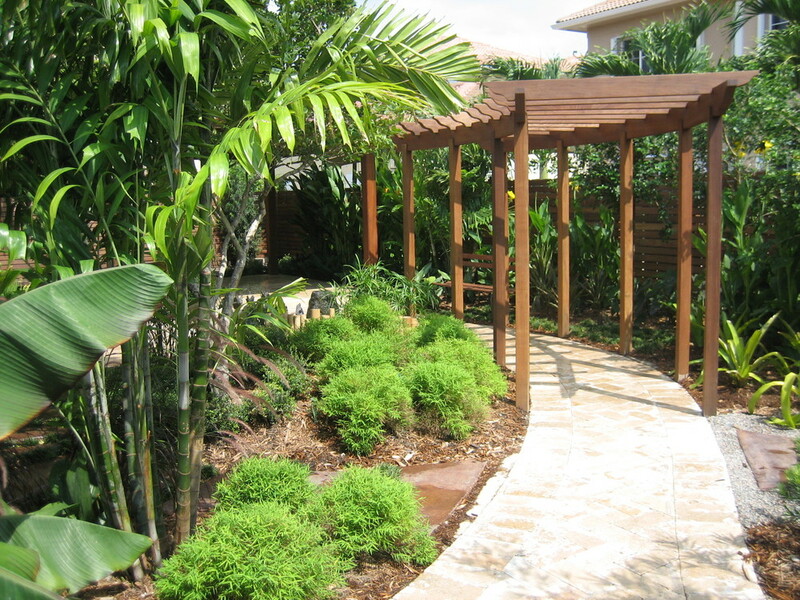 The homeowners wanted a beautiful outdoor environment in which to relax and occasionally entertain – all while truly setting their home apart from the “cookie cutter” effect that is common in this type of community. The 1,500-square-foot yard, which provided a clean slate, was a small area in which to address a long wish list and various challenges. 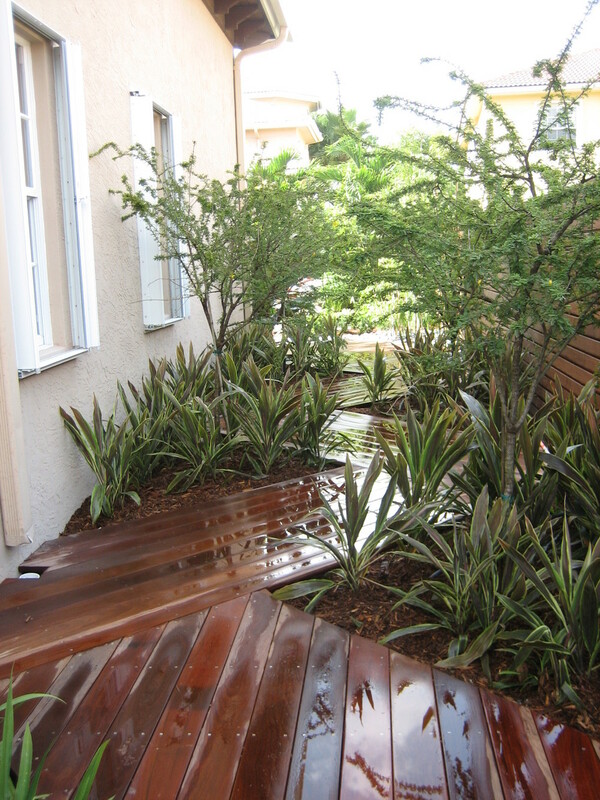 Although the homeowner’s initial vision was that of an entire back yard that was mostly hardscaped, attention was given to providing various planting beds to reduce the heat island effect. In addition, most of the planting beds were located in areas were they would benefit from rain water coming off of roofs from the house as well as the gazebo structure, thus reducing the amount of potable water needed for irrigation.